Teen star Sammi Hanratty is the latest celebrity to make a charity visit on behalf of Smile Train. As a little girl Sammi took trips to Mexico with her father – who is a dentist – where they helped to provide free dental work to children and people in need. Sammi has continued to give back in her teen years through the charity Smile Train. This December she will travel to Peru with the organization to experience the ongoing problem facing millions of children who are suffering with un-repaired clefts palates. On the trip she will visit patients homes and visit the hospitals to see the life changing surgeries take place. Most of these children cannot eat or speak properly and are not allowed to attend school or hold a job. Without the cleft palate surgery they face a difficult life filled with shame, isolation and heartache. Sammi Hanratty plays the lead in two upcoming feature films: “The Lost Medallion: The Adventures of Billy Stone,” which was shot on location in Thailand, and “The Greening of Whitney Brown”, in which she plays the title character alongside Brooke Shields, Aidan Quinn, and Kris Kristofferson. Her numerous television credits include three concurrent recurring roles on CBS’ “The Unit,” ABC’s “Pushing Daisies”, and Disney’s “The Suite Life of Zack and Cody”. 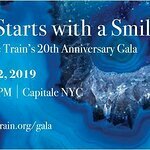 Find out more about Smile Train here.